No. 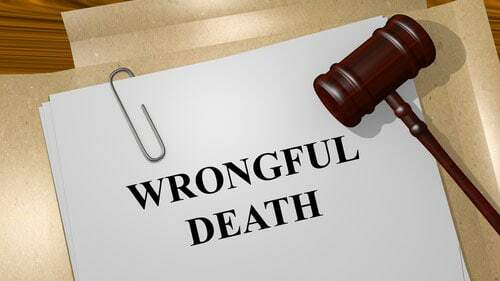 Proceeds from a wrongful death lawsuits are not taxable in Illinois. However, portions of other forms of compensation might be taxable so it is important to speak with an attorney to understand your tax consequences. What Lawsuit Compensation Is Taxable? Why Does The Government Have These Tax Policies? What Does This All Mean For my Taxes? What's The Penalty For Not Paying Taxes On Lawsuit Compensation? What Can I Obtain In An Illinois Wrongful Death Case? Do You Have More Questions Regarding Illinois Wrongful Death Cases? Note, the demarcation between tax liability lies more on the nature of the injury and less on type of case. You might wonder why the Internal Revenue Service (IRS) taxes things like punitive damages, interest payments, and other kinds of compensation but does not tax for personal injuries, wrongful deaths, suffering, wages, etc. The logic here is that the IRS sees the latter category as payments for physical injuries or illnesses and not payments for business loss, court retribution, financial accumulation, or any other thing. However, the IRS will strictly review amounts for physical injury or illness and see if they are compensatory in nature. If they are not, or if they go beyond what the injury or illness is, then they can be taxed. This rationale makes sense when you think about the fact that courts are supposed to make a victim whole again. It would go against that mission to tax the jury awards or settlement amounts that are meant to do just that! While knowing about all of this tax policy might be useful, you are probably wondering how it affects you at tax time and what you must do when filling out your tax returns. For the items that compensate you for bodily injury (like for personal injuries, wrongful deaths, mental anguish, hospital bills, lost wages, etc.) you don't have to report them at all. The IRS does not recognize this income at all. However, for the amounts that compensate you for things beyond personal injury (like business loss, interest, punitive damages, etc. ), the IRS does recognize this as income. Therefore, you must list it on your 1040 or other tax return. How much taxes you will pay on it depends on your other income amounts, deductions, family status, and a variety of factors. But it is important to realize the practical difference between these two categories of legal compensation. As you can imagine, it might get tricky determining what is and what is not taxable after receiving compensation for an Illinois wrongful death case. Not only do you have to consult Illinois laws but you have to reference and understand IRS rules. The penalties can be significant if you fail to acknowledge and abide by them. Failure to pay required taxes can result in financial penalties and even jail time. Therefore, it is essential that you consult tax law and speak with an attorney after receiving a wrongful death award. After learning about the obligations and responsibilities you have following an Illinois wrongful death case, you might be wondering what it's worth? While it is hard to give an exact number, it is easy to point to areas of compensation where you might find recovery. For instance, identify the expenses that the death caused you and then consider how the loss will leave you intangibly changed going forward. These kinds of economic and non-economic injuries are normally where plaintiffs recover the most. Once you're done estimating these figures you'll have a better understanding of what you can obtain in an Illinois wrongful death case. Rosenfeld Injury Lawyers LLC commits every day to helping families suffering from the loss of a loved one related to some of the following incidents: car accidents, motorcycle accidents, truck crashes, nursing home abuse and medical negligence. We work to get the most compensation available to them under Illinois law. As with all our other personal injury cases, we work on contingency which means you won't have to pay a nickel until there is a recovery that you approve. Call Rosenfeld Injury Lawyers LLC today and begin the process of getting the award that you deserve.